Five Guys Burgers and Fries is another famous burger chain in USA. 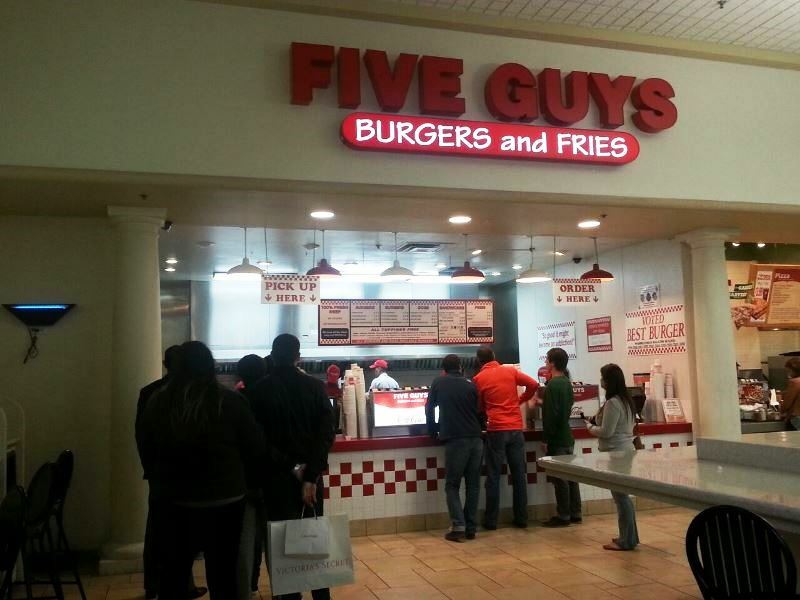 During our trip to Orlando, we stumble upon one of their chain at the Orlando Premium Outlet International Drive. 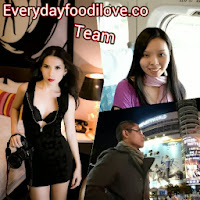 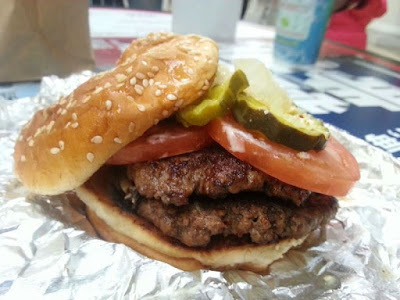 Of course, we grabbed the chance to sample their delicious hamburger. 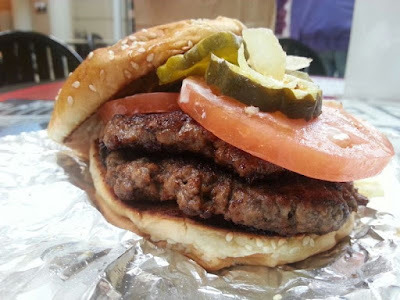 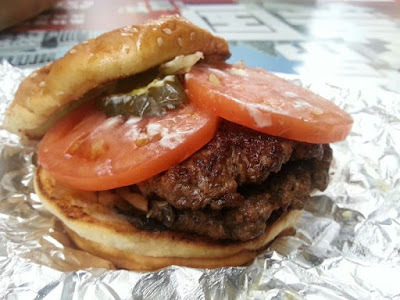 Juicy, greasy and delicious Five Guys burgers are some of the best in the country. 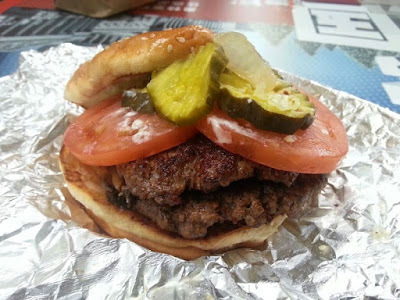 The Hamburger comes with two thick and juicy beef patties, fresh tomato slices and pickles sandwiched in between soft and sweet sesame bun.